Spacemaile is perfect for feature screening in high profile locations. 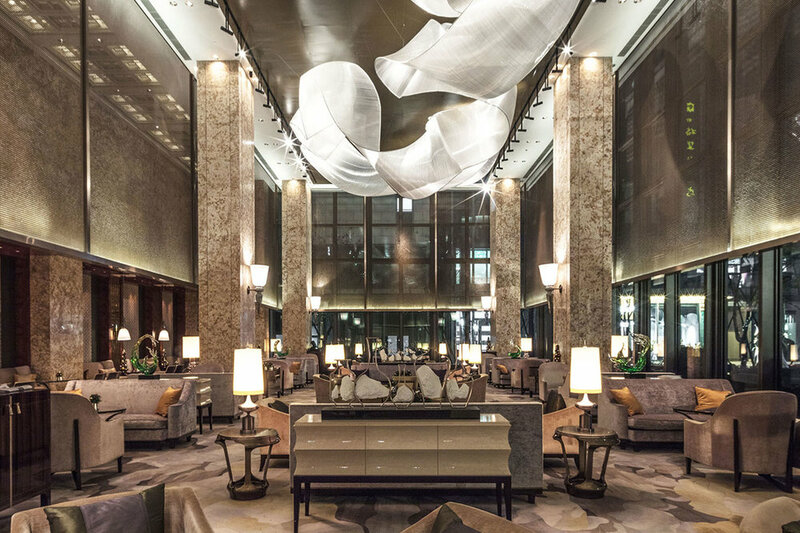 Located in Hangzhou's opulent Shangri-La Hotel this Kaynemaile Hanging Screen serves a dual purpose of decorative and solar reduction, helping to cut the sun's heat from entering the atrium. With the ability to take architectural lighting beautifully, Kaynemaile is perfect for feature screening in high profile locations. Kaynemaile framed screens are designed to fit into framed openings and work perfectly in doors, windows and cabinetry.